Camp for €18,- a night at Flower Camping Les Brillas in low season with CampingCard ACSI. 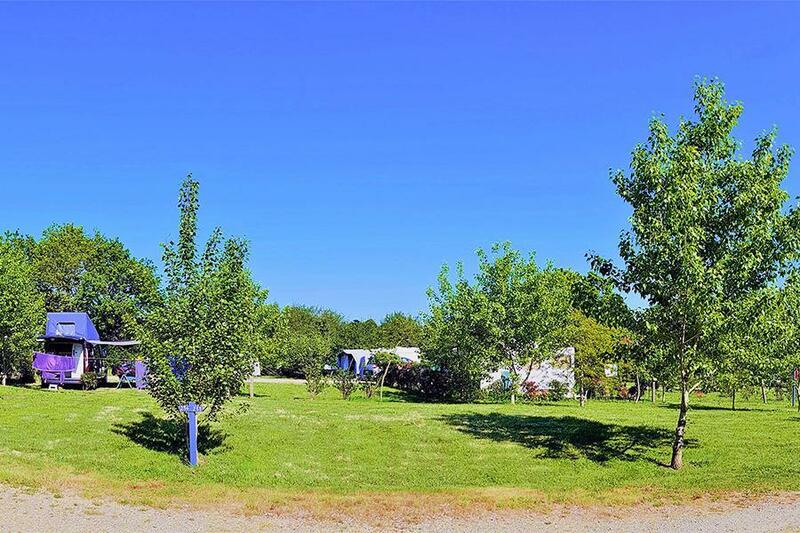 Flower Camping Les Brillas, located in Les Moutiers-en-Retz (Loire-Atlantique), is a campsite with 53 touring pitches and 104 year round pitches. With your CampingCard ACSI you can camp on one of the pitches during the following periods: 13-04-2019 - 06-07-2019 and 31-08-2019 - 29-09-2019. At this campsite you can not only use your CampingCard ACSI for inexpensive camping, you can also use your ACSI Club ID (as an alternative ID). A campsite with a choice of pitches between hedges or on an open field. Well maintained toilets. All amenities open from early May. Peaceful and close to a small town and the sea. Centre for farming oysters and mussels. Reception closed 12:00-2:00 pm. Bar/restaurant open weekends out of season. CampingCard ACSI will send your information request to "Flower Camping Les Brillas".